Part two of a three-part series on fully embracing Canadian Auditing Standards. FIRMS that do not fully embrace Canadian Auditing Standards (CAS) will find it increasingly difficult to meet compliance with the standards. The inefficiencies experienced on these engagements will force firms into a business decision around the provision of assurance services. It’s time to stop fighting the standards. Here are five ways to ensure your firm fully accepts the methodology of the CAS. 1. Start with your partners. Without the full acceptance of your partners, your firm will never fully embrace CAS and your results will always be the same as last year (SALY). When we all revert to what feels comfortable, we deny ourselves the opportunity to grow. Efficiencies are hard to find when practitioners are complying with numerous CAS requirements. Harder still when practitioners are unsure of where they can let go of the standard audit procedures of 1980s and '90s. Once all your partners have fully embraced the new standards, it’s time to train all your staff, from new students to new partners, on systems and controls. Defaulting to control risk to maximum at the start of the audit worked under the old standards. It does not work now. Provide the training and tools necessary to document the relevant processes and provide efficient methods of testing controls. Use the training time to identify your pain points and brainstorm solutions. Ask the questions that nobody else asks: How can we maintain independence and effectively assess risks when the client’s processes stop short of framework-compliant bookkeeping? What general and IT-related controls are present and working and how can I integrate these into my audit approach? How can we improve audit efficiencies by focusing on internal knowledge of accounting frameworks? 3. Create your audit methodology. If you’re like most Canadian SME firms, you use some combination of Caseware and Canadian Professional Engagement Guide checklists. Accept the fact that you have basically purchased an outline for the audit of, say, a $10 million manufacturing company. Without tailoring your process to the sectors or industries of your client base, efficiency is hard to come by. At a minimum, create separate templates for your major sectors or industries. The audit procedures performed for a small charity should not mirror those performed for a social housing project. An audit is an audit under CAS, but your audit approach should differ for every engagement. 4. Require management to specialize. The days of the general practitioner are behind us. As an assurance practitioner, I am painfully aware of my limitations in both tax compliance and planning. Yet general practitioners seem blissfully unaware that reporting upon two or three audits each year is a terrible idea. There are hundreds of practitioners in B.C. alone who perform audits representing less than 10 per cent of their revenue block. Not only does this pose significant risks to the entire firm for non-compliance but it’s also difficult to complete these engagements efficiently. Demand that your partners and managers specialize. 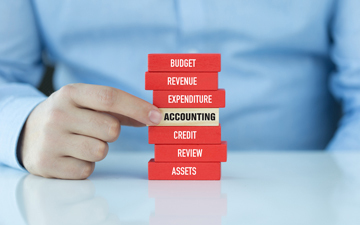 The regulatory costs, resources and time to be proficient under the accounting and assurance requirements is rarely worth “dabbling” in the audit sector. 5. Change your partnership agreements. “Eat what you kill” partnership agreements penalize the audit partner. A year-end compliance audit may not be the most recoverable of engagements but it does create significant potential for additional value-add billing engagements. Your focus should be on leveraging those services. Unfortunately, many compensation arrangements do not encourage the kind of behaviour that can lead to additional billing. Should all firms provide audit services? No, absolutely not. It’s a specialty and, unless you are donating your time and expertise for a few special organizations, it’s not an area to dabble. For more on this topic, read Clearline Consulting’s special report Getting out of Assurance … Maybe?